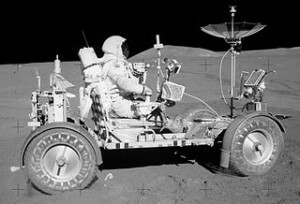 Using the battery-powered Lunar Roving Vehicle (LRV), Astronaut David Scott of the Apollo 15 mission becomes the first person to drive a vehicle on the Moon. The LRV was used during the last three missions to the Moon, Apollo 15, 16, and 17. The three LRVs used during the missions still remain on the surface of the moon. 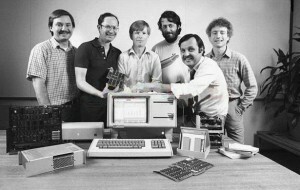 Apple begins work on the Lisa, which would become the world’s first commercial computer with a graphical user interface. Originally intended to sell for $2,000 and ship in 1981, the Lisa is delayed until 1983 and sells for $10,000. Utilizing technology that is ahead of its time, the high cost, relative lack of software, and some hardware reliability issues ultimately sink the success of the Lisa. However, much of the technology introduced by the Lisa influenced the development of the Macintosh as well as other future computer and operating system designs. IBM introduces their System/23 Datamaster desktop computer, only two weeks before they introduce their IBM PC. 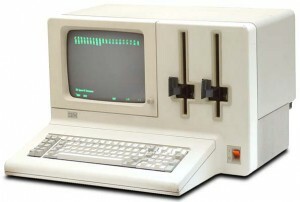 Geared towards small business for use as a word processor and data processor, the computer was designed to be set up by end-users without the need of a computer specialist. While now a footnote in history, the importance of the Datamaster is that many of the team members that developed it were re-assigned to the secret IBM PC project. Much of the knowledge they acquired working on the Datamaster went into developing the IBM PC as quickly as possible. For example, the choice of the Intel 8088 processor in the IBM PC was based on the team’s familiarity with the similar Intel 8085 processor used in the Datamaster. About two weeks before IBM begins shipping the first IBM PC, Microsoft buys the full rights to the operating system 86-DOS, formerly known as QDOS (Quick and Dirty Operating System), from Seattle Computer Products for $50,000. 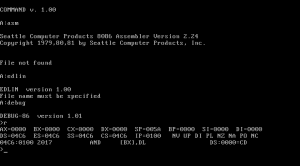 Microsoft had previously paid $25,000 to SCP for a non-exclusive license in December 1980 in order to begin porting the operating system to the IBM PC, which used the Intel 8088 processor. Microsoft renamed 86-DOS to MS-DOS and licensed it to IBM as PC-DOS. SCP would later sue Microsoft claiming fraud because Microsoft did not reveal IBM as a licensee. The case was settled in SCP’s favor for 1 million dollars, a fraction of the annual revenue Microsoft was receiving from MS-DOS and PC-DOS. Syncom 2, the world’s first geosynchronous satellite, is launched. 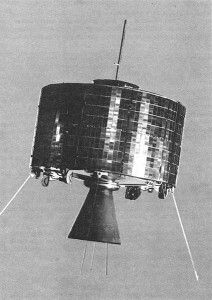 Syncom 1 was intended to be the first geosynchronous satellite, but an electronics failure rendered the satellite inoperable during the ascent to orbit. The FCC approves the merger of the two satellite radio companies, Sirius and XM. 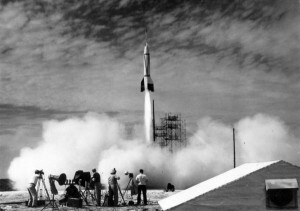 The first successful rocket launch occurs at Cape Canaveral. 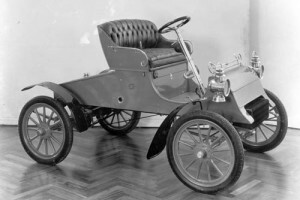 The rocket, Bumper 8, was a captured German V-2 modified with a US Army Corporal second stage. Cape Canaveral’s location in the southeast is an ideal site for rocket launches in the United States. 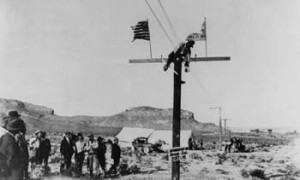 By launching eastward, rockets are able to take advantage of the linear velocity of the Earth’s rotation. This velocity is greatest towards the equator, making the southern United States preferable. And by launching towards the ocean, away from populated areas, safety downrange from the launch is maximized in case of problems. Commodore introduces its Amiga personal computer, also known as the Amiga 1000 or A1000. 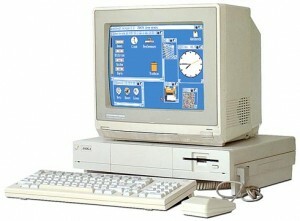 Featuring a multitasking, windowed operating system, color graphics, and stereo sound among other features ahead of its time, the Amiga developed a loyal user following that remained strong even as the PC market became increasingly consolidated between the dominant IBM-compatible PCs and Apple Macintosh computers.